Currently 0 item(s) in cart. In stock more than 1 pc(s). Video door phones, audio intercoms, access control, network/non-network system for single family house and multi-apartment. Price is the subject of negotiations and we can offer the best prices for a certain quantity. The system can work equally two outer panels connected to the module F-4300. One-touch call sign can operate up to 4 monitors. Panel suitable for outdoor installation and is resistant to changing weather conditions and frost. Opening a lock or a conversation takes place without calling from the outer case. 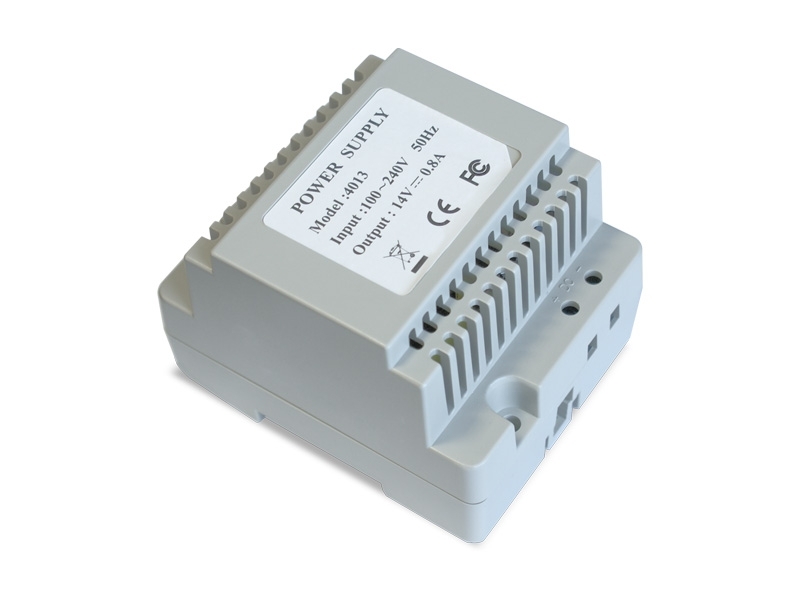 New F-series devices are equipped with anti-static and surge protection. Currently 1 item(s) in cart. In stock more than 100 pc(s). Surface-mounted door station, zinc alloy panel, hands-free indoor phone. Call, talk and remote unlocking. Intercom is available between indoor phones. CCD color camera: 3.1 "
Genway F-S7 doorphone station panel F system designed for a single family. It is made of stainless steel and aluminum, wall mounted. Panel with Sony CCD camera module with white LEDs enable night vision. The system can work equally two outer panels connected to the module F-4300. One-touch call sign can operate up to 4 monitors. Panel suitable for outdoor installation and is resistant to changing weather conditions and frost. Opening a lock or a conversation takes place without calling from the outer case. 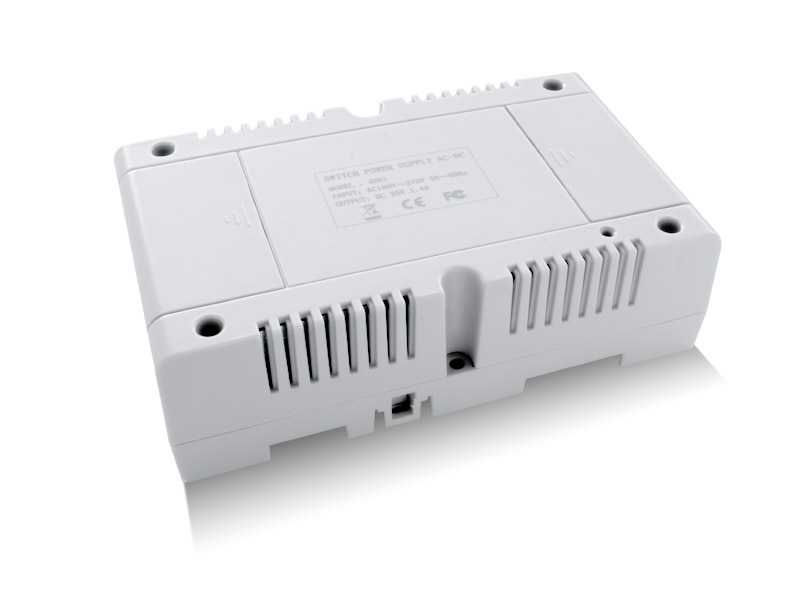 New F-series devices are equipped with anti-static and surge protection. 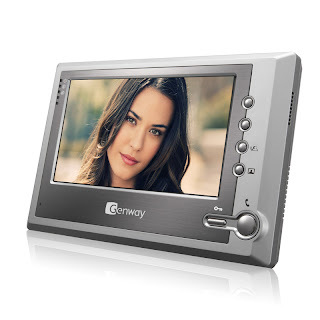 Genway F-V11 LCD 7" video door phone color monitor for Series F. Works with any external panel of this series. Monitor has a volume control conversation, tone, contrast and brightness which allows the adaptation of work according to individual requirements. Opening a lock or lead conversation takes place without the call from the outer case. devices of the new F-series are equipped with anti-static and surge protection. Currently 1 item(s) in cart. 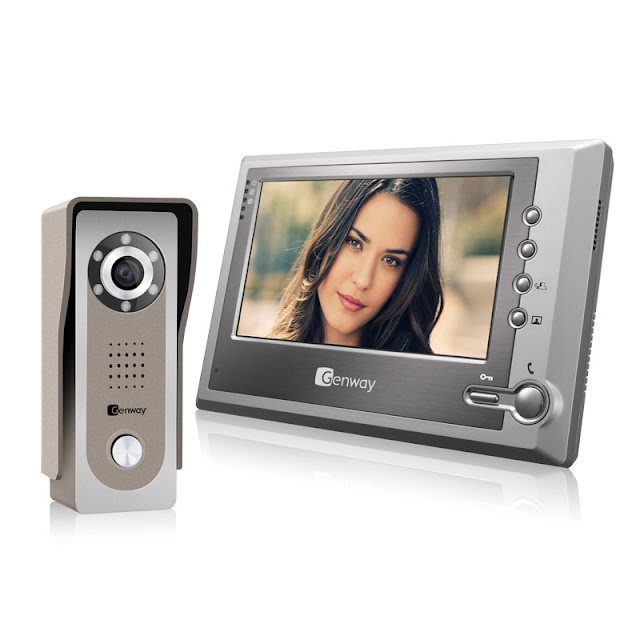 Video door phone color monitor F-V11 7" LCD series F are sold together with a power supply F-4013. Prices are negotiable thing, for quantity we can for some products offer better prices. You can connect a second external panel equally by the module F-4300. 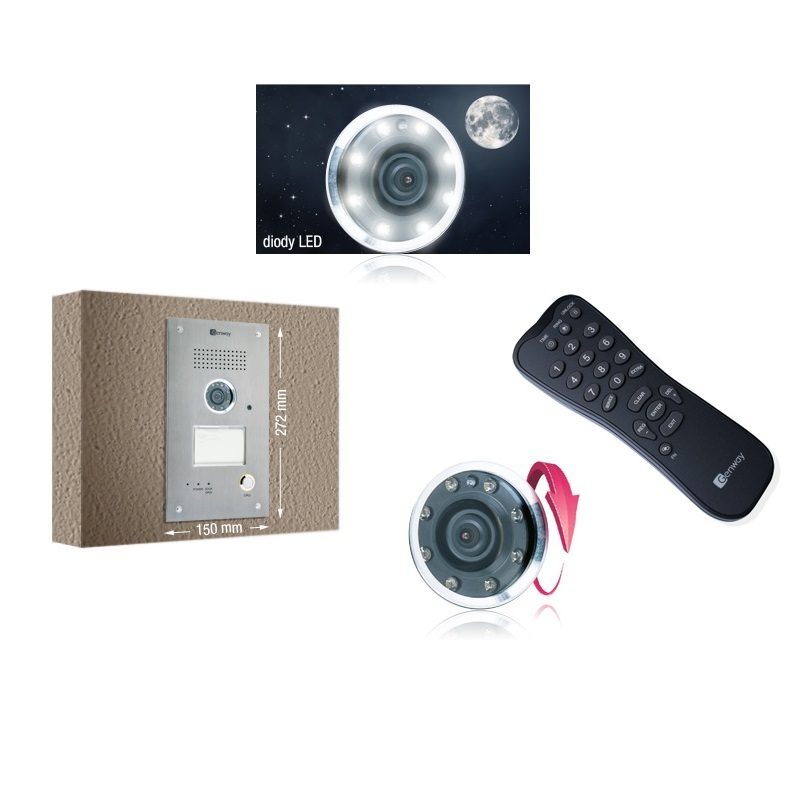 A set can be extended with up to 3 monitors with series F. When you connect additional monitors automaticly activated intercom function (ie. internal conversation between monitors). The new F series has protection against atmospheric discharges and antistatic. Works with any monitor with a series F. At any time you can preview the image from the camera. Preview is discrete, so the visitor does not even know the person that is observed. The ability to connect two panels with the module F-4300. To connect the external panel additional power supply necessary. Color monitor hands-screen LCD 7 "video door phone for Series F. Works with any external panel of this series. 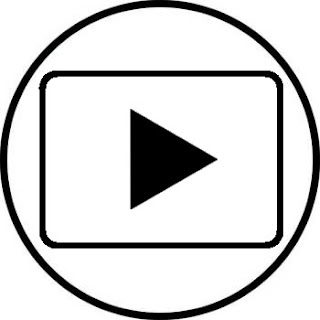 Monitor has a volume control conversation, tone, contrast and brightness which allows the adaptation of work according to individual requirements. Opening a lock or lead conversation takes place without the call from the outer case. devices of the new F-series are equipped with anti-static and surge protection. 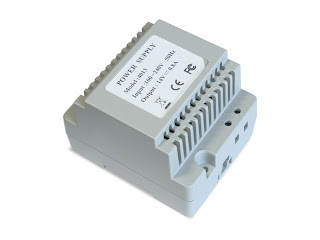 14V AC / DC working with the company GENWAY devices. Mounting on DIN rail. 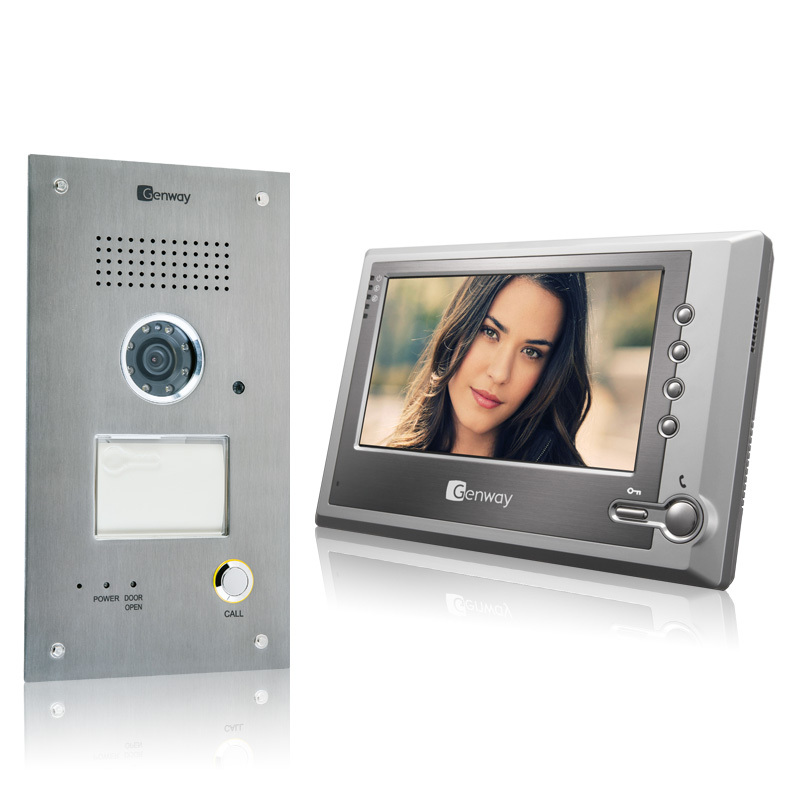 Monitor for video door phone series C5 with a color display with a diagonal 7". Allows you to talk to visitors, opening electric lock on the door and contact with the doorman / security. Remembers photos callers in the absence of the tenant. Works with any external panel of C5 series. Each now it is possible to view the image from the panel. Monitor is adjustable ringer volume and conversation, contrast and brightness, so you can adapt his work to the individual requirements. Possible to connect up to 4 monitors to a single call number. Outer panel for video door phone C5 series. Works with any monitor in this series. Possible installation in single and multi-family systems. Vandal resistant panel made of stainless steel and aluminum 3.6mm lens, the angle of view of 72.8 degree. Possibility to connect up to 4 monitors (using the module C5-4110S). Allows you to power up to 20 monitors or any other device in the system that need. Monitor for video door phone series C5 with a color display with a diagonal 7 ". 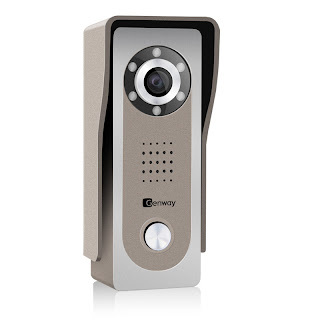 Allows you to talk to visitors, opening electric lock on the door and contact with the doorman / security. Works with any external panel of this series. 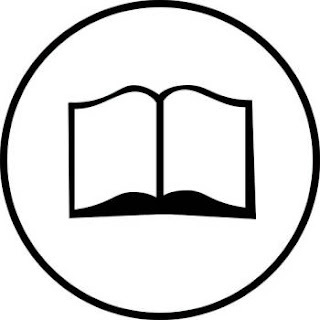 At any time you can view the image from the panel. The monitor is adjustable ringer volume and conversation, contrast and brightness, so you can adapt his work to the individual requirements. possible to connect up to 4 monitors to a single call number. Products are created in the factory of brands - the world's leading technologies in the field of energy and automation. All items displayed here are correct in the time of published. 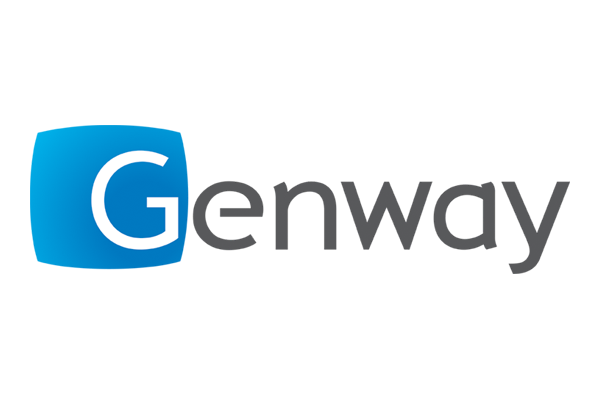 Genway update all changes in real time. Genway respect your privacy and the data used here are strictly confidential. All data (if sent) is electronically stored securely to prevent unwanted use. Find out more about our Terms & Conditions.